IoT Web and Mobile, Allowing Homeowners to Take Back Control of Their Energy Usage. Grid is a solar-energy start up that is looking to make waves in the industry by implementing IoT connected solar panels, in hopes of creating a local solar powered energy grid. An ambitious goal for sure, and to achieve it they needed to provide an incredible experience for their users. The TriFin team was tasked to build grid’s web and mobile experience that would monitor all energy production and consumption of a given users’ household. This information is then displayed to the homeowner in a simple and intuitive format that would enable them to take action on the insights they were receiving. Not only that but grid’s team needed a dashboard of their own to view the solar production and consumption of every solar panel they deployed to ensure that there were no issues with their technology. Grid turned to TriFin to map out the design and intricacies of the web and mobile app. We worked side by side with the Grid team to create the perfect experience for home owners. This was the most important part of the project – the experience needed to be perfect or homeowners wouldn’t use it, defeating the purpose of the app. Following the design process, TriFin’s engineering team went to work on a fully functional application for homeowners on all platforms. 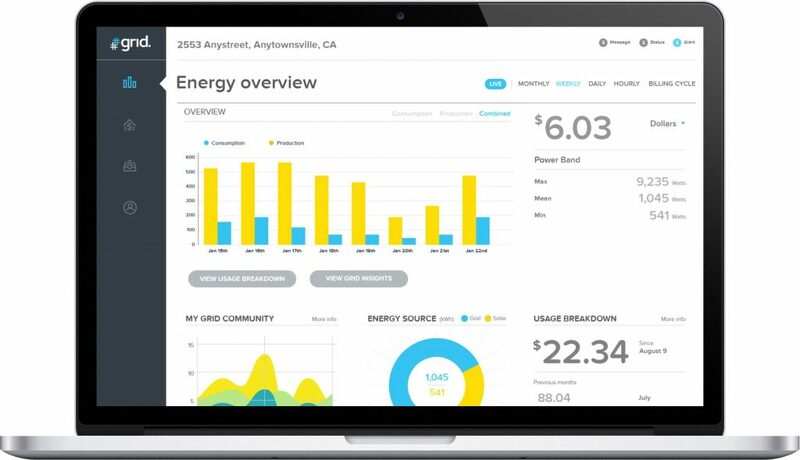 With a wealth of experience in building consumer scale applications for the enterprise, TriFin developed a unique IoT application focused on increasing homeowners’ ability to track & monitor their home’s energy usage down to the single outlet. This interactive home mapping and dynamic data visualization platform will help millions control their energy consumption and save.